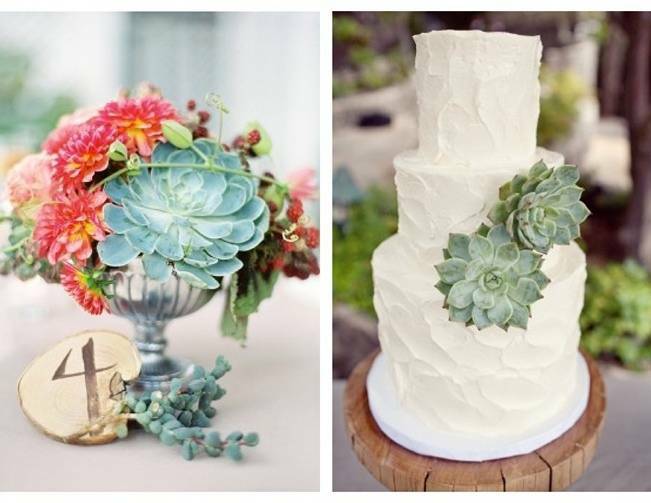 Using succulent plants as wedding flowers is a fun new trend. Succulents are economical, unique, easy to care for and available year round. Their interesting textures and colors have made them very popular, and they’re eco-friendly! Other wedding decoration ideas include giving succulent wedding favors or creating unique name cards, boutonnieres for the groom and groomsmen, décor for your guest book table, your wedding cake and the reception table centerpieces. Some commonly grown succulent plants to look for are Echeveria, Jovibarba, Pachyveria, Sedum and Sempervivum. Got a green thumb? Try growing succulents yourself and save even more!